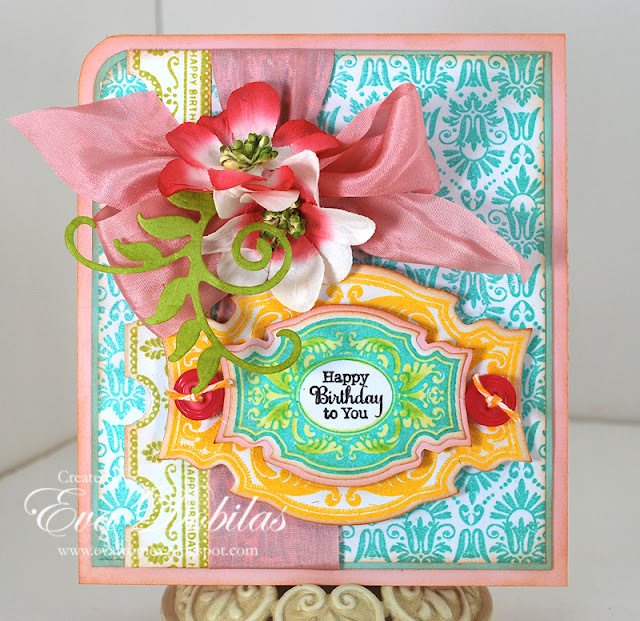 For the love of life: JustRite Papercrafts October Release Day 3! JustRite Papercrafts October Release Day 3! Happy Friday! Are you ready for the weekend? I sure am! I am going off to a two day scrapbook get together with my friends and we are celebrating one of their birthday's, too, so it should be fun! I made this card for my sweet friend, Karen. Sure hope she loves it! On this card I used three different brand new JustRite Papercrafts stamps. For my background I used Embroidered Background Stamp, the border is Classic Sentiment Edges (by the way, did you see that there are actually sentiments embedded in the border?) and finally the focus of my card is Friends Antique Labels One. I also used the coordinating Spellbinders dies. For my border it's Classic Edges One and JustRite Antique Labels One dies. My flourish is Spellbinders Foliage Two. My pretty ribbon once again is by May Arts and you can find it at the Stamp Simply Ribbon Store. And the pretty flowers are from Petaloo, their Camelia flowers. Well, that is it from me today. 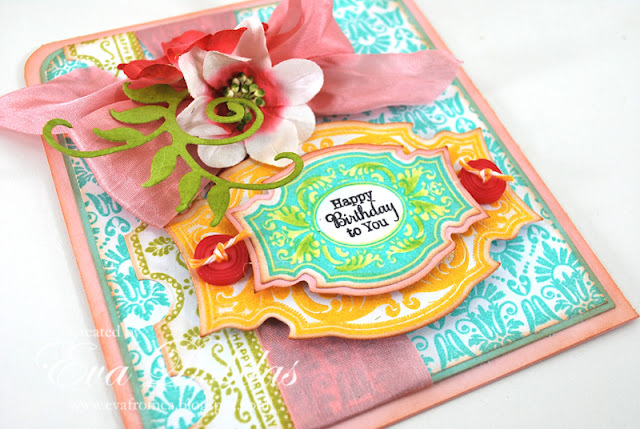 Hope you enjoyed this card and now it's time to check out what my fabulously talented design team mates have created. You don't want to miss a thing! Here is the list of participating ladies for today! Thanks for visiting and wishing you a wonderful weekend!